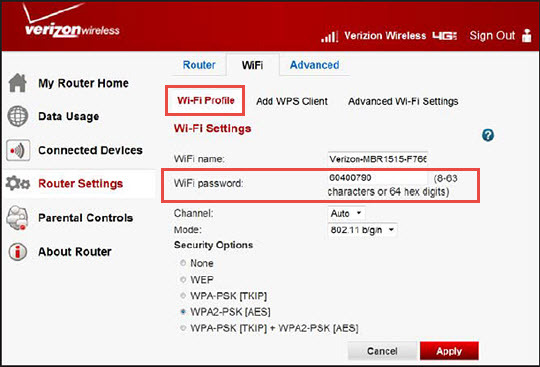 If you want to change the password needed to connect to your Verizon 4G LTE Broadband Router's Wi-Fi network, view this info. Sign in to the Admin Web Interface. 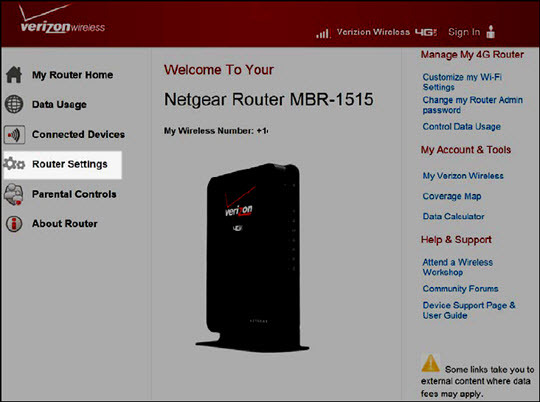 From the Wi-Fi tab, click the Wi-Fi Profile tab. From the Wi-Fi password text entry field, enter a new password. Password needs to be between 8-63 characters. Click the Apply button (lower-right).